This 23 January 2019 music video from Mexico is called Huelga [Strike] Matamoros power. After two weeks of wildcat strikes, tens of thousands of “maquiladora” workers in the Mexican city of Matamoros, next to the border with the United States, continue to expand their struggle. At 2 PM on Friday, the official, legally-sanctioned strike began after the main trade union was compelled to file a legal strike announcement last week when workers refused to abide by the union’s back-to-work orders. As soon as the 2 PM deadline struck, workers across the city placed red-and-black flags traditionally used to declare a strike on the main gates, cheering and recording social media videos as their fellow workers still inside walked out enthusiastically. In the last moments Thursday and Friday, four maquiladoras (Polytech, CTS, Core and AFX) agreed to the $1,700 raise and the 20 percent bonus that workers have demanded. However, the overwhelming majority of companies have refused, fearing that any concessions will encourage workers across Mexico and internationally to rebel against their bought-and-paid unions and unleash a mass working-class movement for social equality. Instead, they’ve sought to bait workers with pitiful bonuses, removing machinery and threatening plant closures, mass layoffs and criminal charges against militant workers. Workers have reportedly begun organizing self-defense networks to protect themselves as the strike enters its third week. On Thursday, one plant announced that it would close down and leave 1,700 workers and their families without their sustenance. Then, management and union leaders at about a dozen plants locked workers inside the plants on Friday, refusing to recognize the beginning of the “official” strike. Some presented workers illegal documents provided by the Matamoros labor-conciliation council to keep them inside. Union officials claimed to have “their hands tied” and defended the action. At the same time, autoworkers in the United States and Canada have confirmed to the WSWS Autoworkers Newsletter that the strike is causing auto parts shortages across the industry. On Friday, the Commerce Chamber (Canaco) in Matamoros warned government authorities that the strike would cost slightly over $6 million in monthly losses to the entire economy of the city. 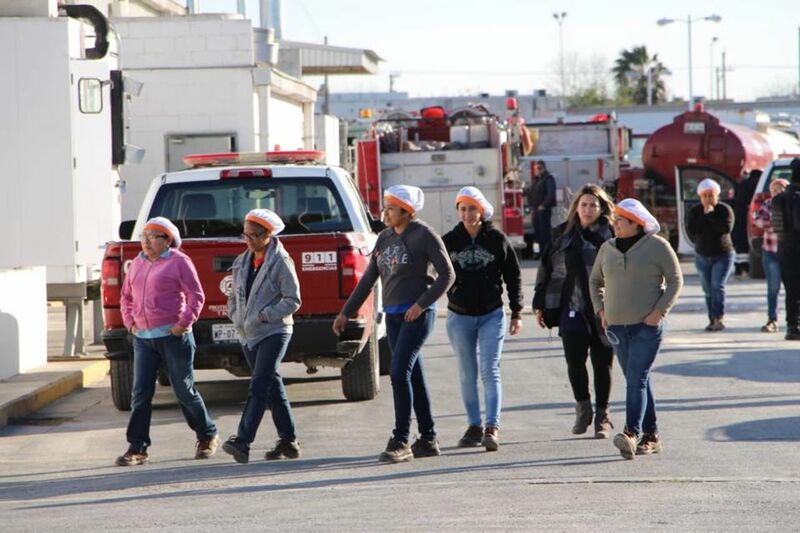 After the first week of the strike, however, the Maquiladoras Association of Matamoros reported that the companies had lost more than $100 million. Commentators have pointed out that the payment of the bonus and wage increase would be less than $200 million for the entire year. Such figures reflect the enormous extraction of profits by the transnational corporations. Hundreds of millions are channeled into the pockets of their executives and to financial investors with the rubber stamp of the government in the form of enormous tax handouts, land and police-state repression. On the contrary, the Matamoros workers must continue developing their independent strength through the incipient strike committees. Workers have the initiative—they are shaking up the entire North American auto industry. They can build their strength by forming a citywide strike committee with rank-and-file representatives from each plant to take full control of the struggle and appeal to their class brothers and sisters in the United States, Canada and beyond. 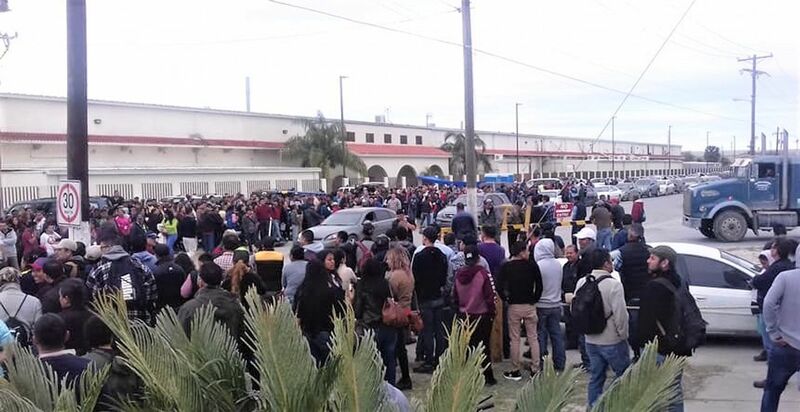 The strike of auto parts and electrical workers in Matamoros, Mexico has powerfully demonstrated the international character of the class struggle. In the third week of the strike by auto parts and electrical workers, 23 companies representing 31 plants have agreed to meet the workers’ demands of a 20 percent wage increase and a $1,700 bonus. In 13 plants, the state government colluded with the companies to declare the strike illegal and had threatened 25,000 workers with mass firings unless they return to their posts within 24 hours. Another 10 companies have asked the state government to take similar actions: here.